Dulux is owned by Akzo Nobel which is a Dutch company but some Dulux paint in the UK is manufactured in Ashington, Northumberland . 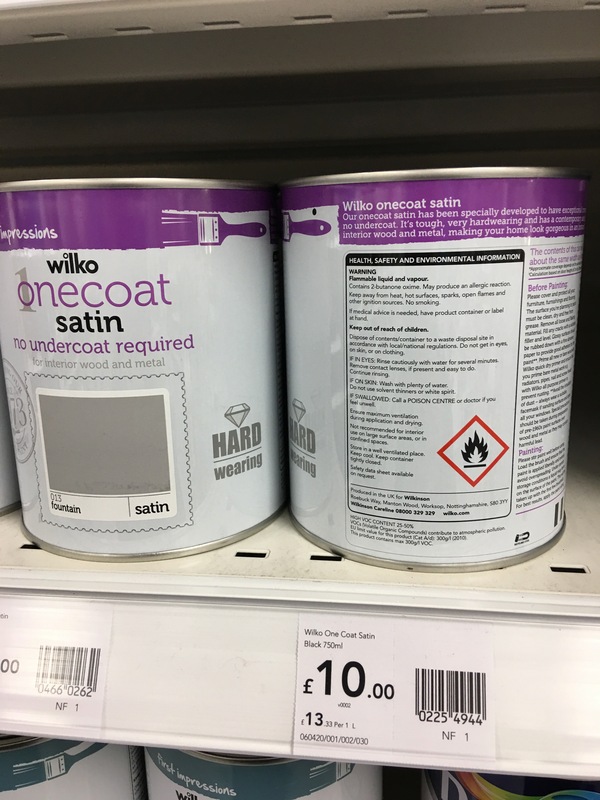 Wilko onecoat satin paint. Produced in the UK. On display in Wilko Staines-upon-Thames. Photograph by author 26 August 2018. 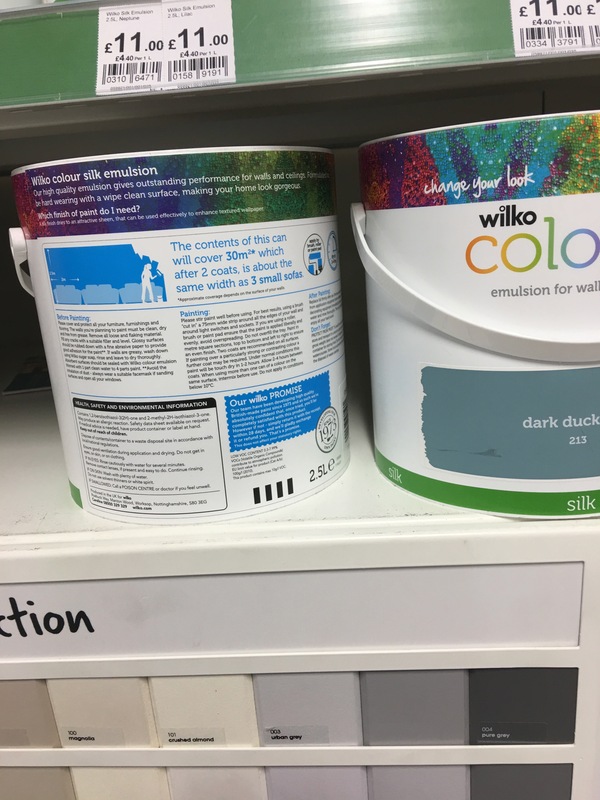 Wilko Color silk emulsion. Produced in the UK. On display in Wilko Staines-upon-Thames. Photograph by author 26 August 2018. 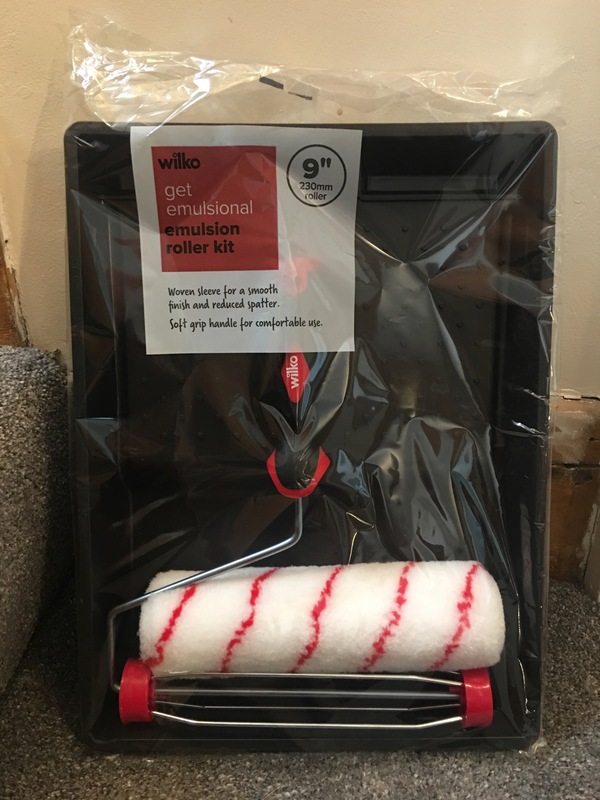 Wilco get emulsional emulsion roller kit. Produced in the UK. Front view. Photograph by author 28 August 2018. Wilco get emulsional emulsion roller kit. Produced in the UK. Rear label view. Photograph by author 28 August 2018. 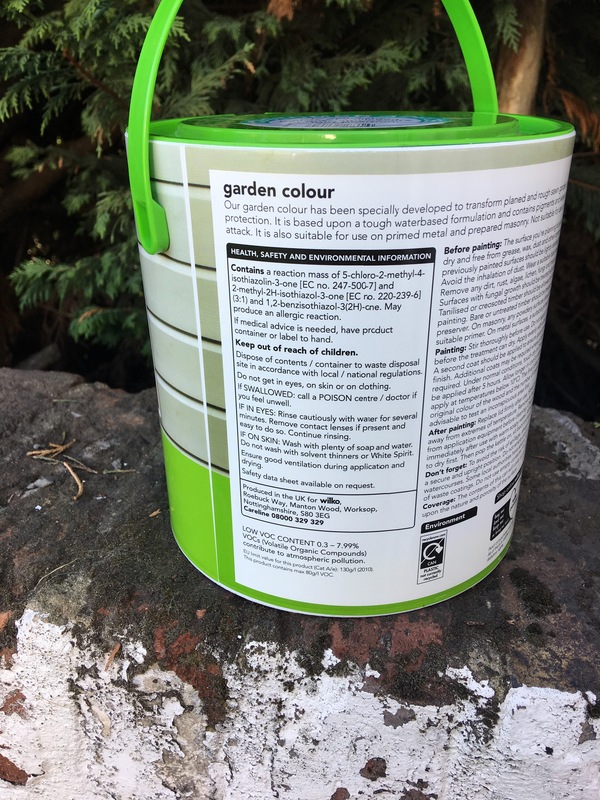 Wilko garden colour (city slate) for garden wood. Produced in the UK. Photograph by author 2 September 2018. 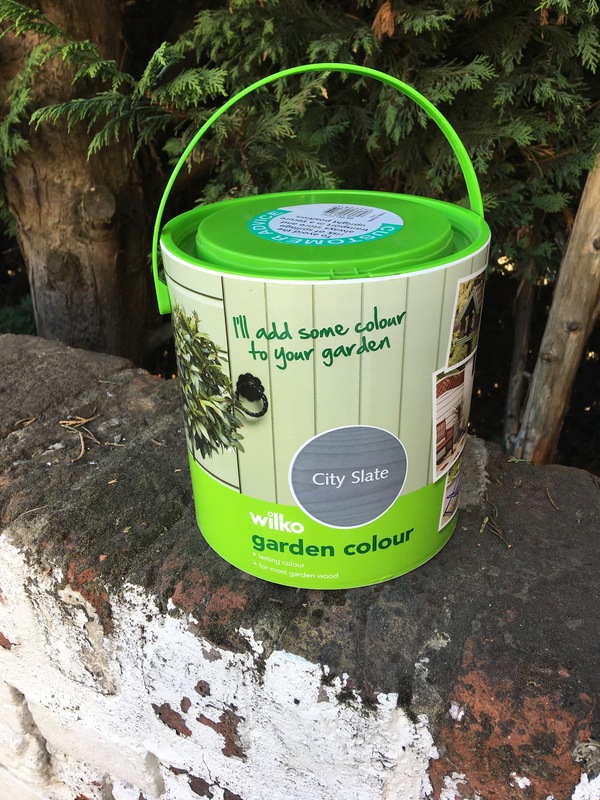 Wilko garden colour (city slate) for garden wood. Produced in the UK. Photograph by author 2 September 2018. rear of tin label view. 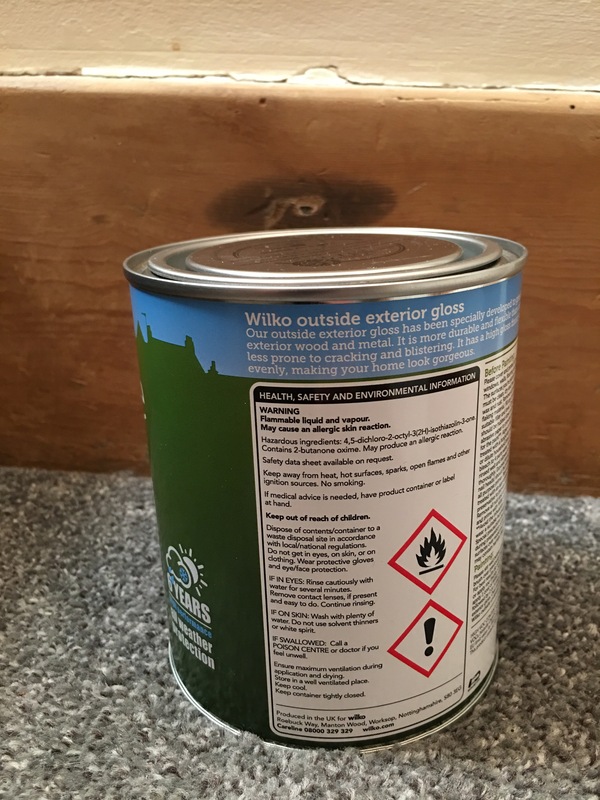 Wilko Outside exterior gloss paint, black. Made in Great Britain. Photograph by author 4 October 2018. 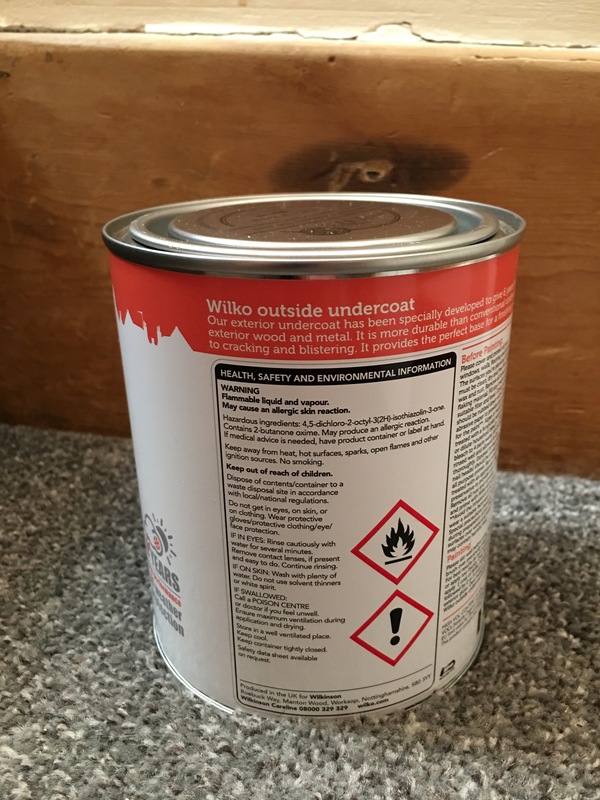 Wilko Quick Dry Varnish produced in the UK. Photograph by author 21 October 2018. 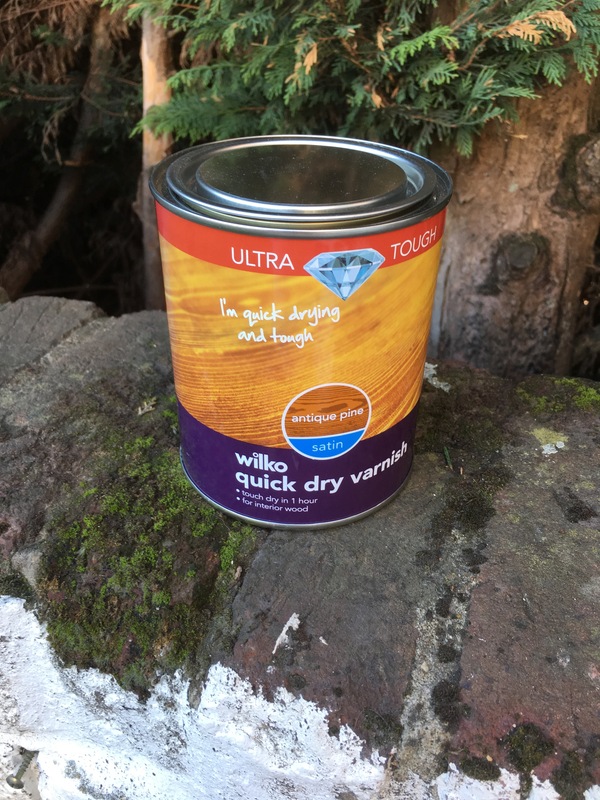 Wilko Quick Dry Varnish produced in the UK. Photograph by author 21 October 2018. Rear label view. 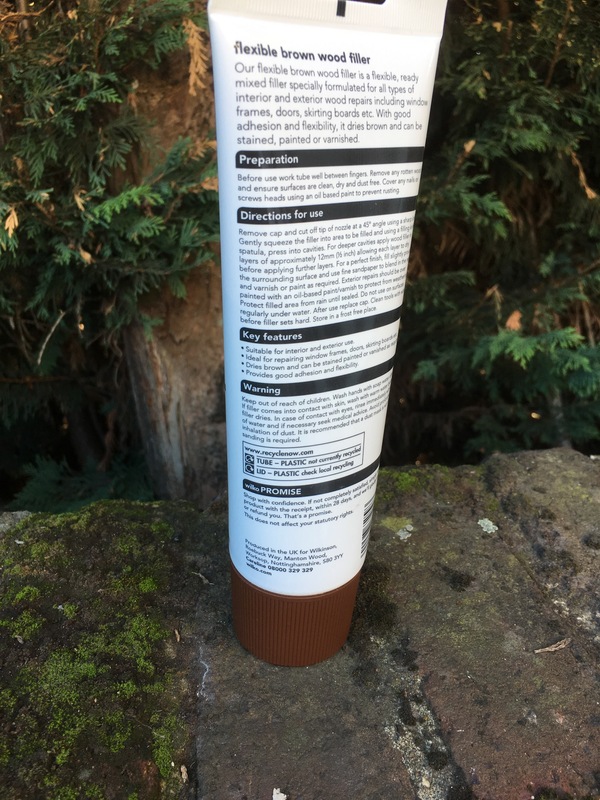 Wilko knot a problem brown wood filler, produced in the UK. Photograph by author 21 October 2018. 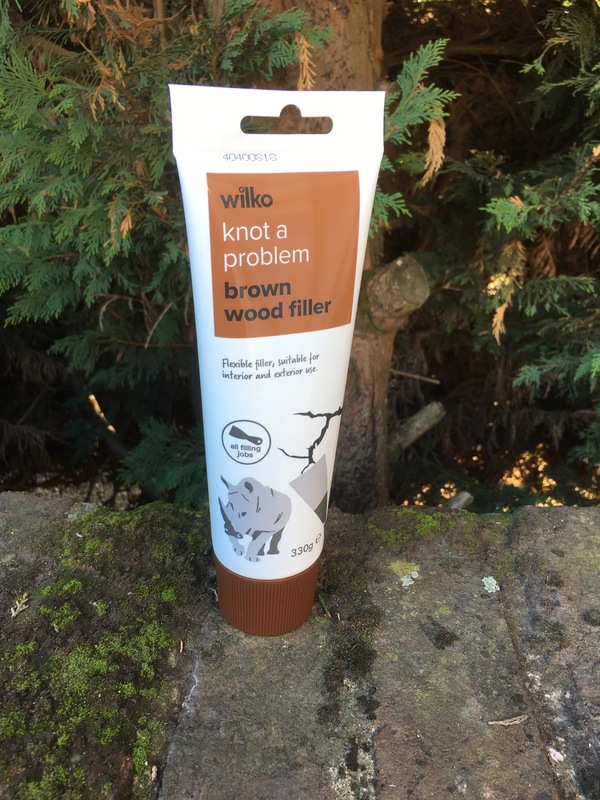 Wilko knot a problem brown wood filler, produced in the UK. Photograph by author 21 October 2018. Rear label view. 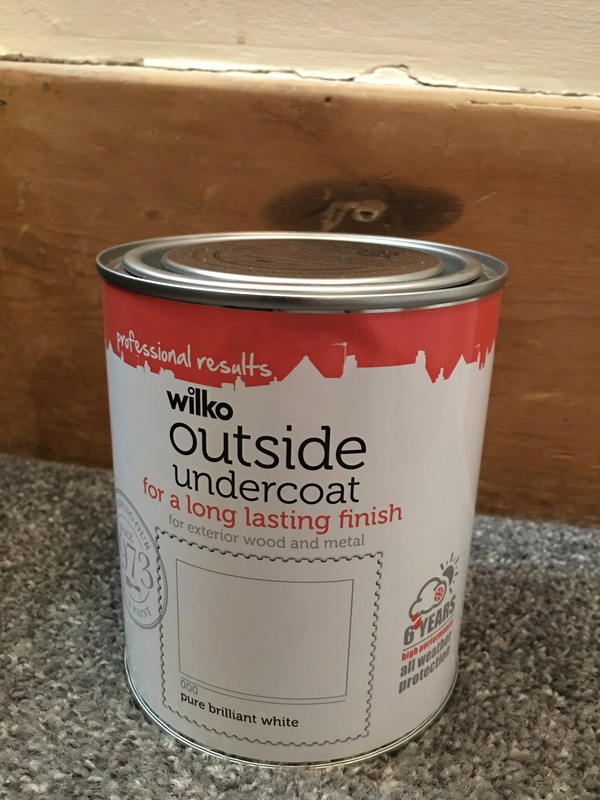 Wilko outside undercoat, produced in the UK. Photograph by author 28 October 2018. 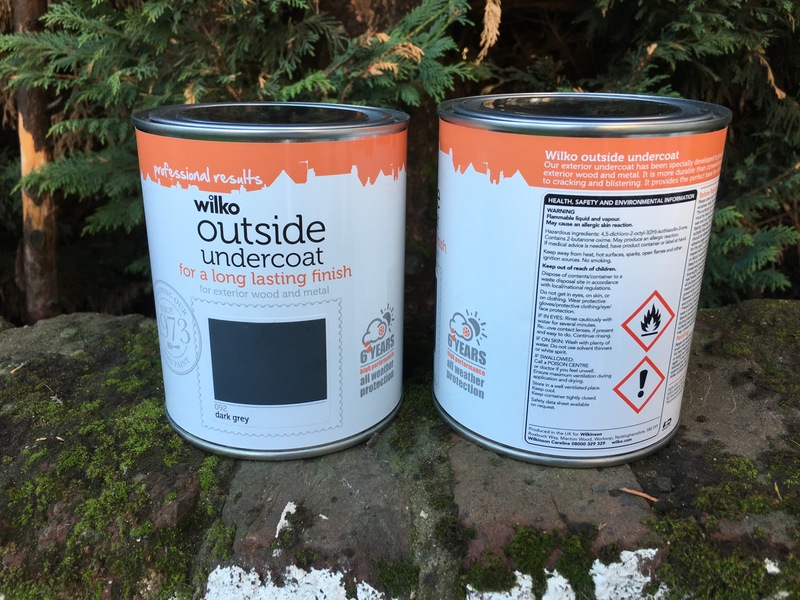 Wilko outside undercoat, produced in the UK. Photograph by author 28 October 2018. Rear label view. 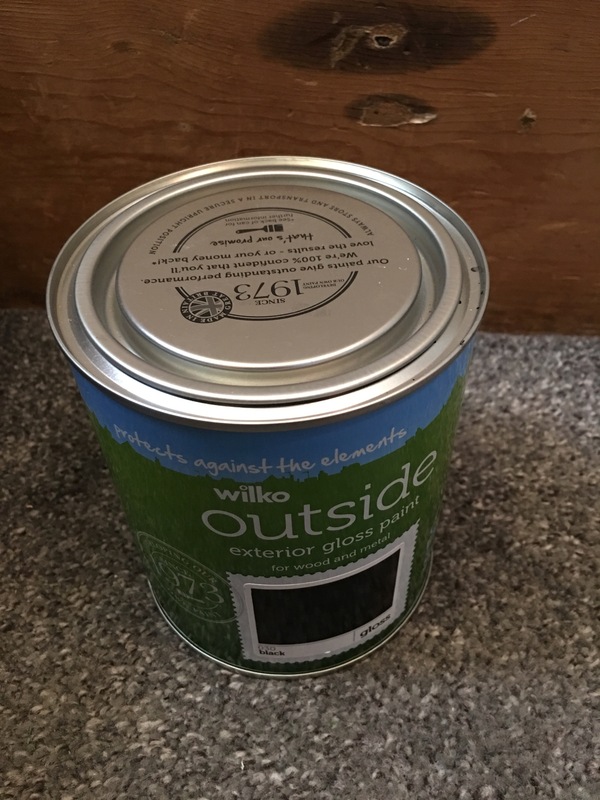 Wilko outside undercoat for exterior wood and metal, dark grey. Produced in the UK for Wilkinson. Photograph by author 11 November 2018. 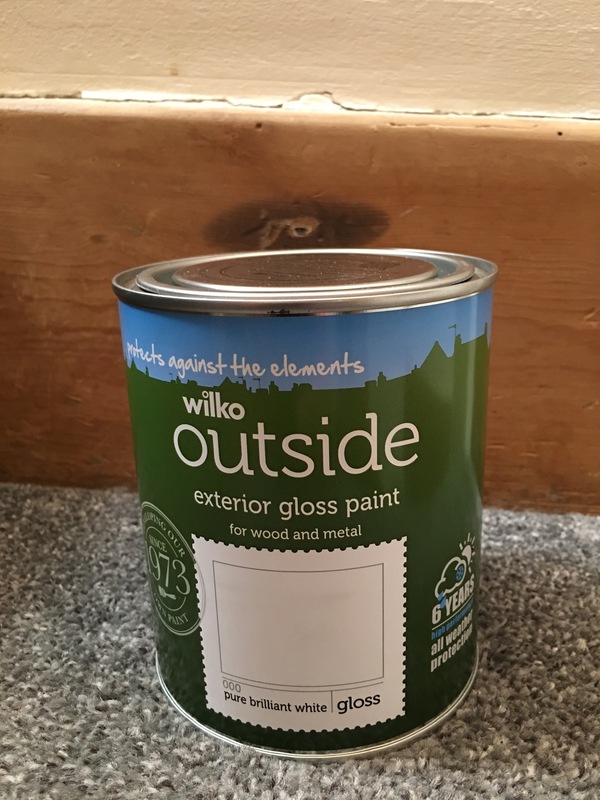 Wilko outside exterior gloss paint, white, produced in the UK. Photograph by author 28 October 2018. 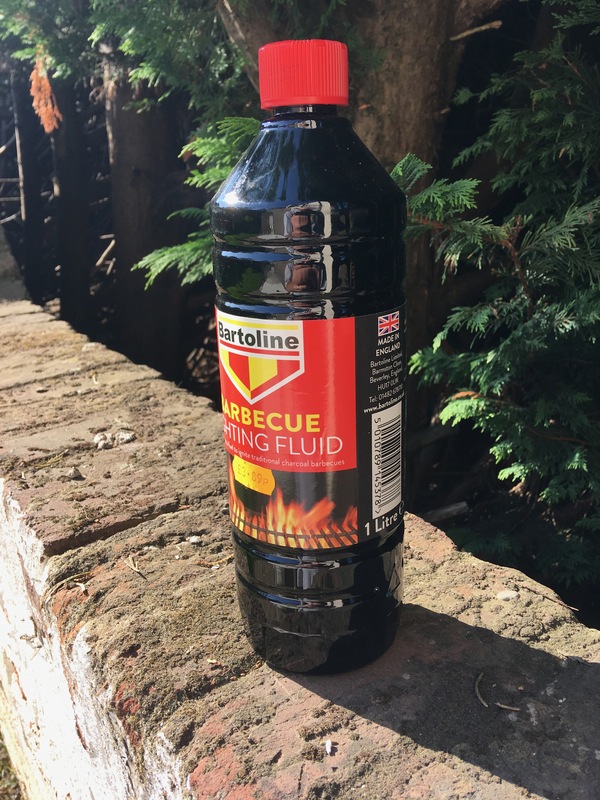 Bartoline Barbecue Lighting Fluid. Made in England. Photograph by author 1 September 2018. Tor Coatings Limited of Chester-le-Street, County Durham specialise in “building protection and external building protection technologies – all of which are developed and manufactured at our Head Office site” according to their website making waterproofing and protective surfacing systems, and flame-retardant coatings. They also say “Our British-made product range also encompasses market-leading balcony refurbishment options, anti-graffiti coatings, masonry and cladding systems to name a few.” They are part of USA company RPM International Inc. They also make Rust-Oleum chalky finish furniture paint. 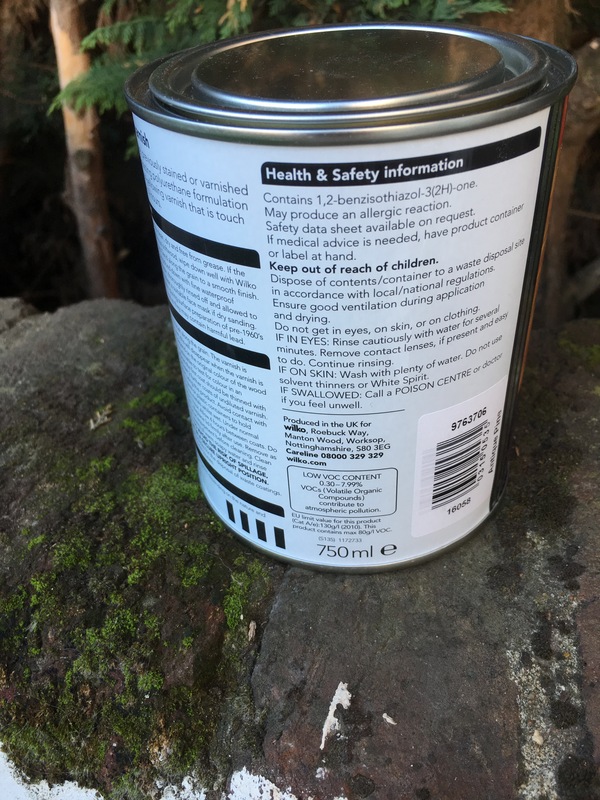 On their separate Rust-Oleum website they say “As a UK subsidiary of Rust-Oleum, Tor Coatings manufactures and markets the Rust-Oleum range of spray paints presented in this website from its purpose-built facility in County Durham, England”. 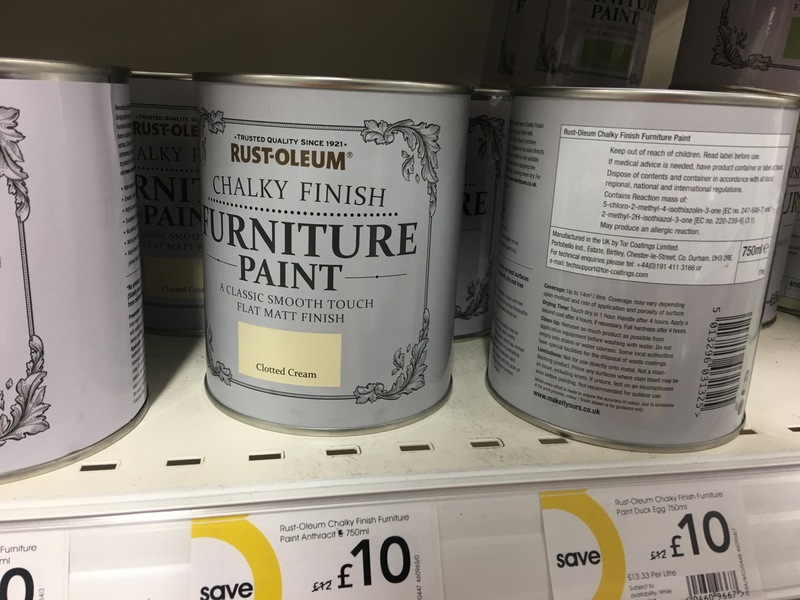 Rust-Oleum chalky finish furniture paint. Made in the UK by Tor Coatings Limited. On display in Wilko, Staines-upon-Thames 2 September 2018. Photograph by author. Farrow and Ball – http://www.farrow-ball.com – paints and wallpaper are made in their factory in Dorset, England. I am not sure about their brushes and rollers, but probably not as they do not mention these being made in the UK on their website. Laura Ashley made in the Uk fabric. On display in Laura Ashley Staines-upon-Thames. Photograph by aithor 26 August 2018. Note not all Laura Ashley fabric is UK made, but some is. 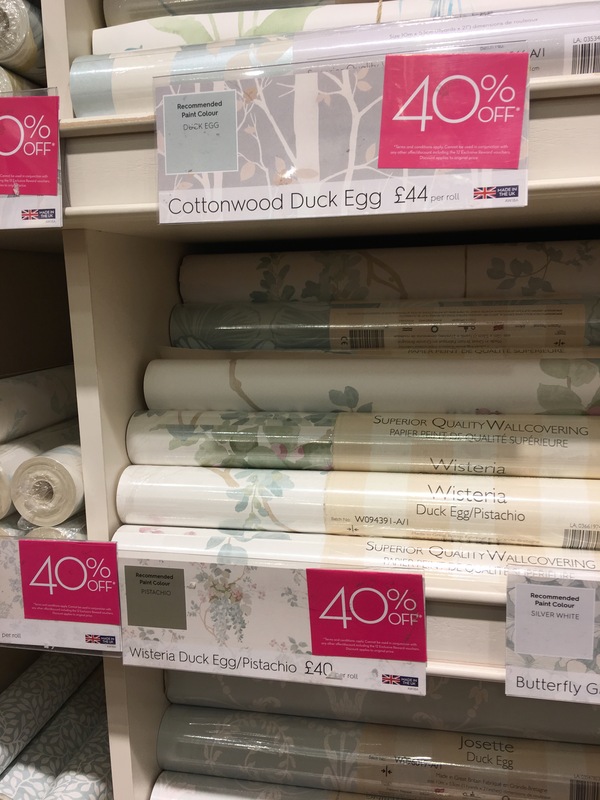 Laura Ashley made in the UK wallpaper on display in Laura Ashley Staines-upon-Thames. Photograph by author 26 August 2018. Laura Ashley paint. Made in the UK. On display at Laura Ashley Staines-upon-Thames. Photograph by author 26 August 2018. Laura Ashley made in the UK mugs. 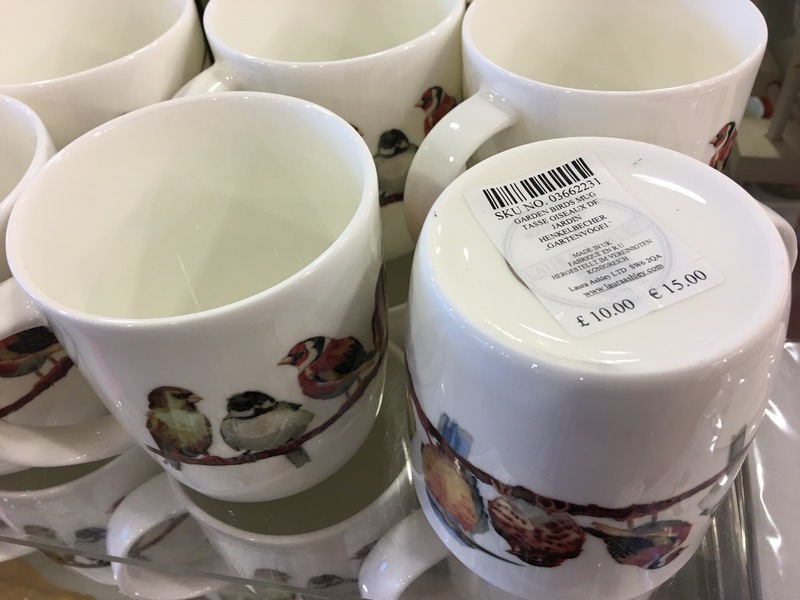 Note most mugs in Laura Ashley are foreign made. On display in Laura Ashley Staines-upon-Thames. Photograph by author 26 August 2018. 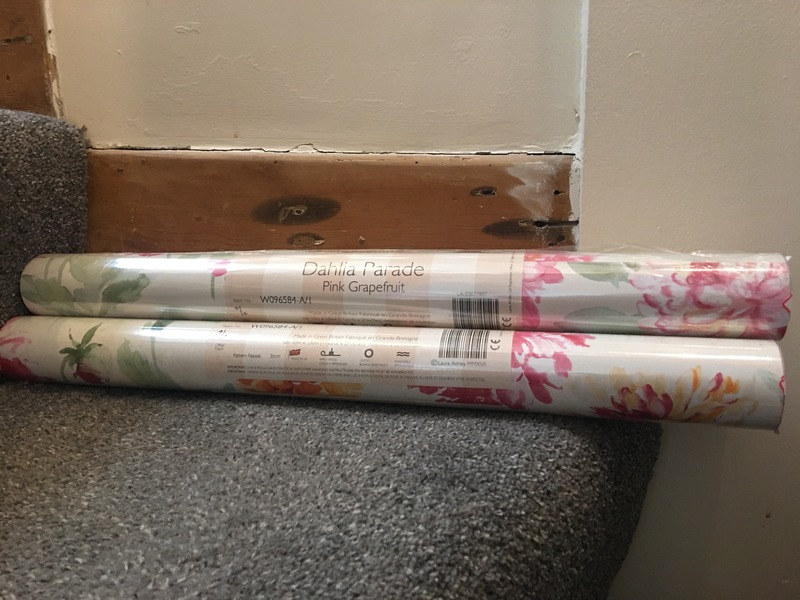 Laura Ashley Dahlia Parade Pink Grapefruit wallpaper. Made in the UK. Photograph by author 28 August 2018. 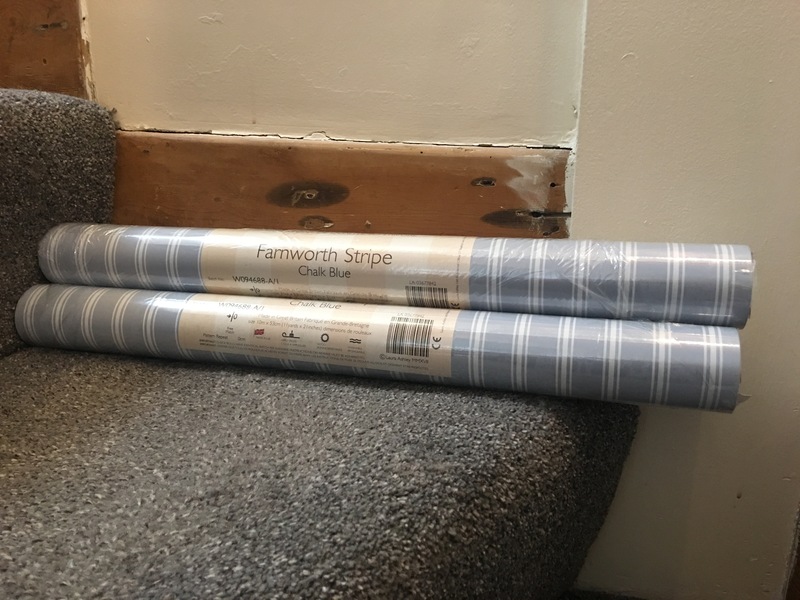 Laura Ashley Farnworth Stripe Chalk Blue wallpaper. Made in the UK. Photograph by author 28 August 2018. Sanderson paint. Made in the UK. 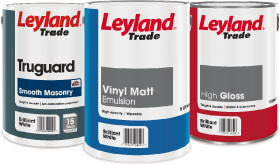 Lakeland Paints, founded in 1989, solvent free organic paints and varnishes were I understand made in the UK but the company website is not working (as of 21 December 2017) and it appears the company was dissolved in November 2016. 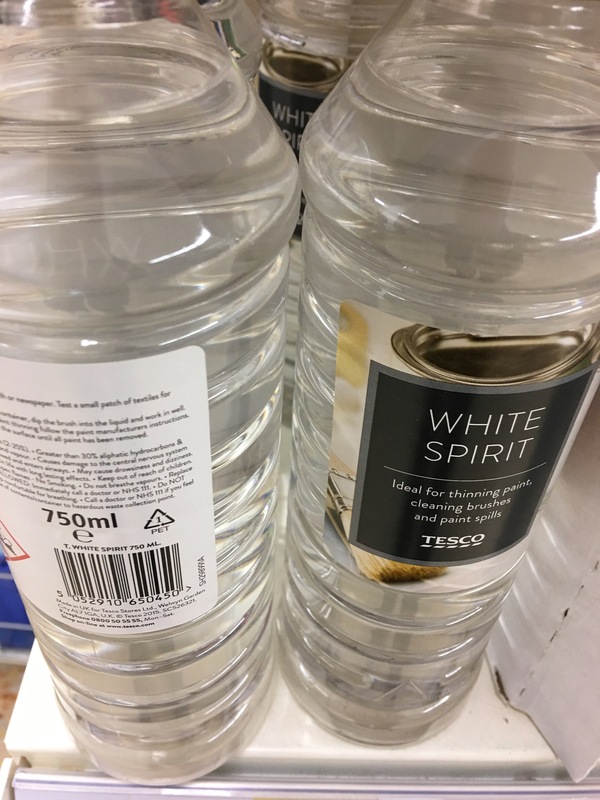 Tesco White Spirit. Made in the UK. On display in Tesco Flitwick 30 January 2017. Photograph by author. 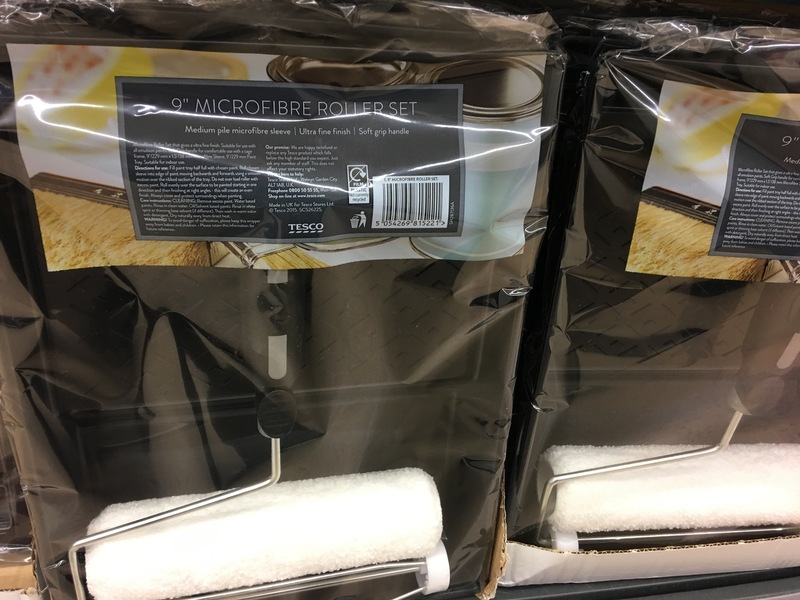 Tesco made in the UK 9″ Microfibre roller set. On display in Tesco Ashford, Middlesex. Photograph by author 8 September 2018. BeeGee Brushes offer an extensive range of paint brushes, wallpaper brushes and glue brushes and they are all made in the UK. 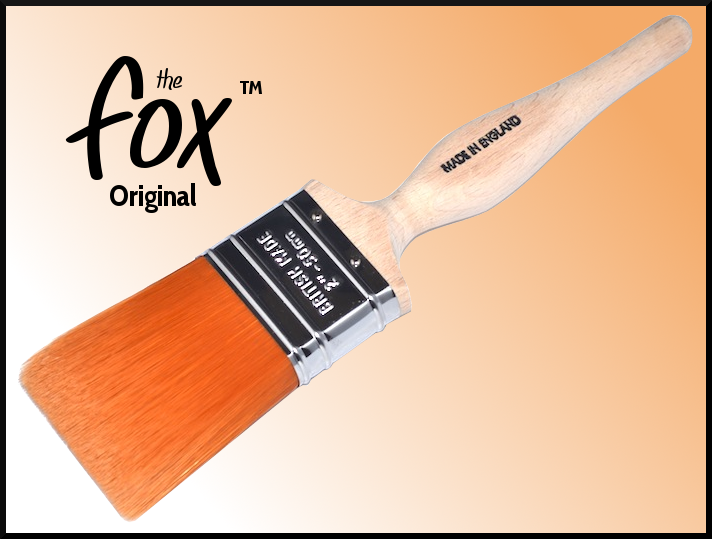 The Fox Original Straight Cut paint brush. Made in England. 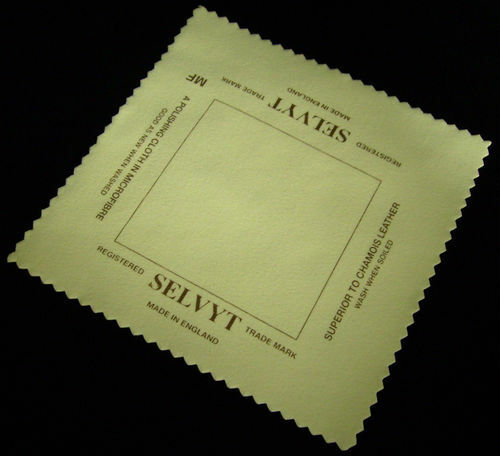 For cleaning cloths why not use SELVYT cloths which are made in England. For well over 100 years SELVYT has been the world’s leading brand in polishing cloths for the jewellery, watchmaking and silversmiths trade. Also cloths for glasses cleaning, plasma screen cleaning, cleaning guns, cleaning cars, cleaning brass or wooden instruments, household cleaning, etc. Manufactured in the U.K. SELVYT is a division of Edmund Bell Ltd a British textile company established in the 19th century, who supply curtain lining and blackouts. SELVYT MICROFIBRE POLISHING CLOTH MADE IN ENGLAND. For cleaning cloths and cleaning products there is also Town Talk Polishing Co. Ltd. – 98% of their products are produced at their factory in Bolton, Lancashire. They source the sonic unit machine and the microfibre cloth from overseas although these are finished and packed in the UK which is something. All the Town Talk polishes, silver and gold polishing cloths, jewellery cleaners and household cleaning products are 100% made in England. 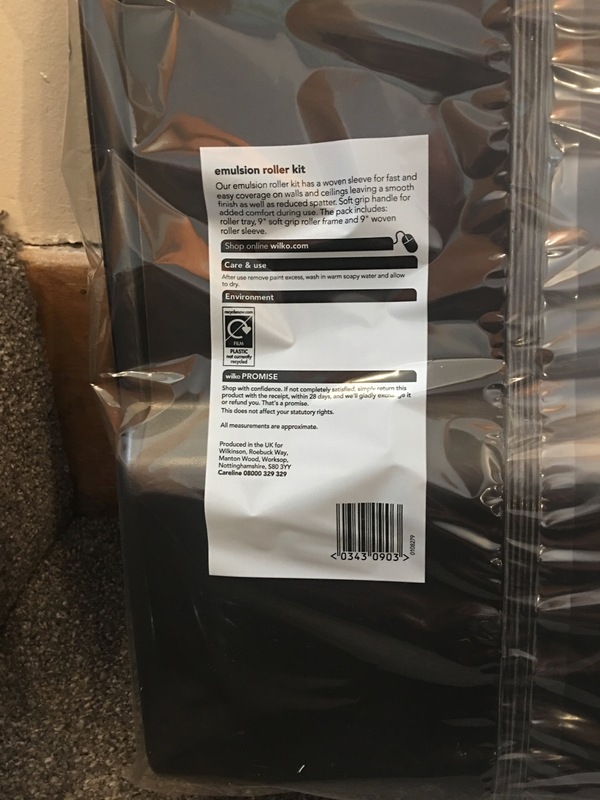 Check the packing when thinking about buying for the words made in England. 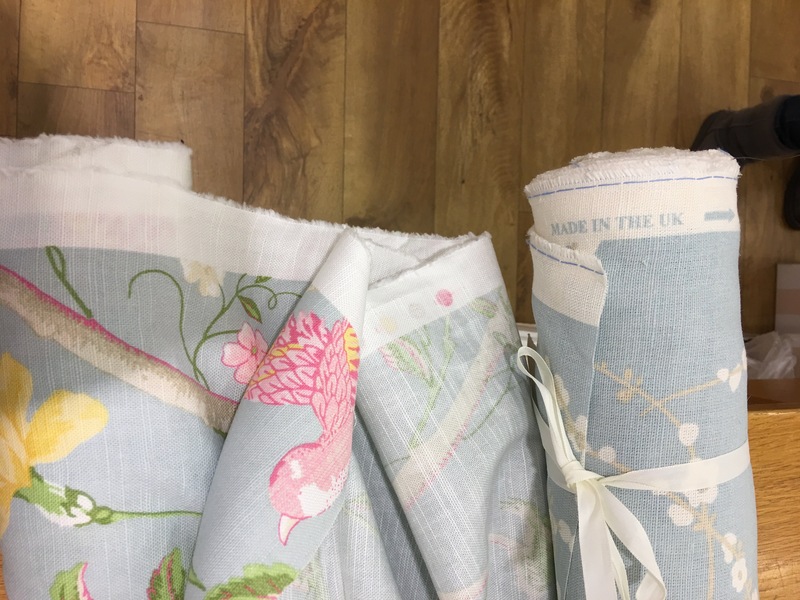 There are still quite a few British fabric mills around, so you should insists on British milled fabrics for furniture and furnishings – my article on British made clothes lists a lot of the mills. 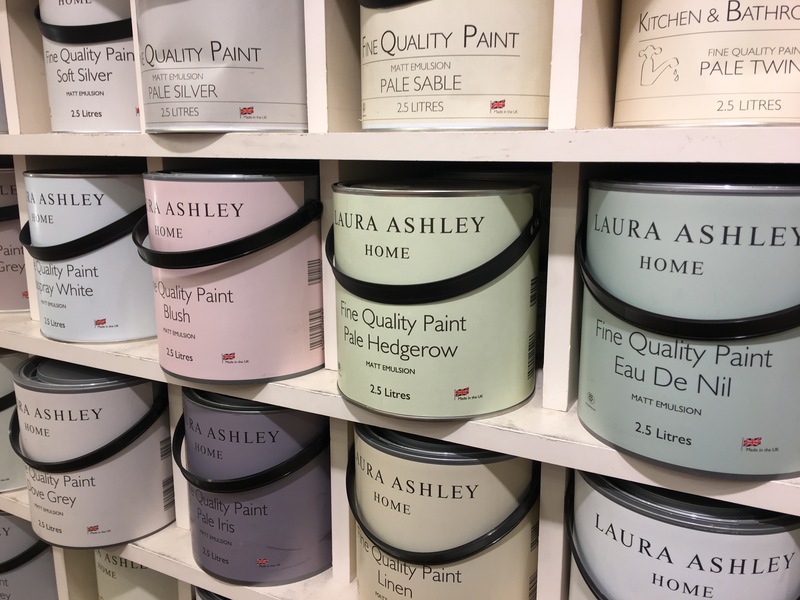 Are there more British made paints, paint brushes, painting accessories and wallpapers out there? Dulux is owned by Akzo Nobel which is a Dutch company but Dulux paint in the UK is manufactured in Ashington, Northumberland . Fab. Thank you for the information. I will add this. Thanks again. Here is another one made in the UK – I have used their solvent free organic emulsion paints a lot and they are excellent – http://www.lakelandpaints.co.uk/. I am not so keen on their water based gloss paint – Dulux Ecosure I have found is much better.